Soactive | Progine – endometriosi. HPV, PCOS, a Firenze in Toscana. Specific treatment based on soy isoflavones and phyto-extracts, stimulates cellular renewal, gives an active and prolonged moisturization, protects against oxidative processes and environmental radicals. 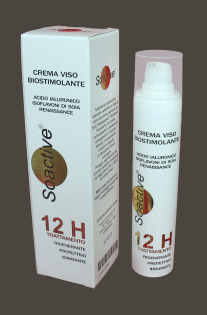 Due to its special formula SOACTIVE CREAM leaves no greasy residue on the skin.